‘…The law of universal gravitation states that any two bodies in the universe attract each other with a force that is directly proportional to the product of their masses and inversely proportional to the square of the distance between them. This was the genius of Newton in seeing the same underlying force that causes all bodies in the universe, big or small, to attract each other. Using his new theory, he was able to predict with considerable accuracy the motion of planets, as well as the tiniest objects known to man in those days. It says that the earth attracts the objects in the sky by its own force towards itself. He discusses the forces between the celestial bodies using a question: Where can the celestial bodies fall since they attract each other? Emergence is the way complex systems and patterns arise out of a multiplicity of relatively simple interactions. 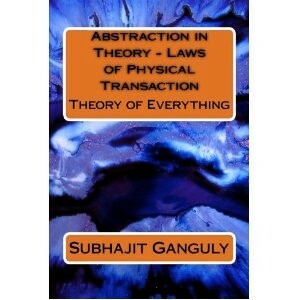 This is central to the study of complex as well as chaotic systems. The simple components of the environment may form more complex emergent properties, as a whole. Relating to the closest we can get, the human perception of the world, we can say that what we perceive about the world is way greater than the signals that are fed to our bodies through our senses. When you look at a distant star, your perception of the star is way greater than the light that reaches your eyes from it. 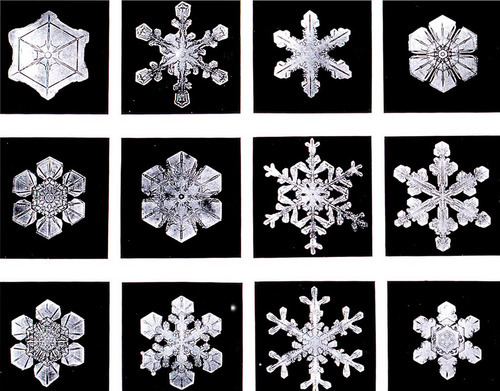 The above image: Snowflakes (by Wilson Bentley) forming complex symmetrical patterns is an example of emergence in a physical system.